One of the most common type of embankment dam failure is the dam-break due to overtopping. In this study, the finite elements method has been used to analyze seepage and limit equilibrium method to study stability of the body of an earthfill dam during the flood condition. For this purpose, the software Geostudio 2012 is used through its subprograms SEEP/W and SLOPE/W. Al-Adhaim dam in Iraq has been chosen to analysis the 5 days of flood. It was found that the water flux of seepage during the flood reaches about 8.772*10-5. m3/sec when the water level 146.5 m at 2nd day. Seepage through the embankment at maximum water level increased by 55.1 % from maximum water level. It was concluded that the factor of safety against sliding in downstream side decrease with increasing water level and vice versa. It was also concluded that the deposits are getting more critical stability during the conditions of flood when the factor of safety value reaches 1.219 at 2nd day. 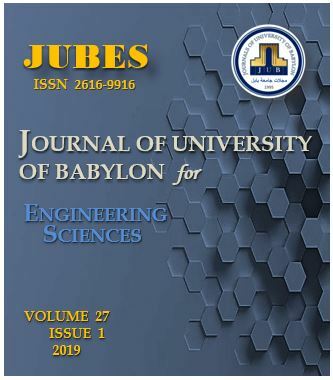 A.-H. Al-Shukur and R. Mahmoud, “Failure of Zoned Earth Dam (An analysis of earth dam break)”, JUBES, vol. 27, no. 1, pp. 344 - 353, Feb. 2019.